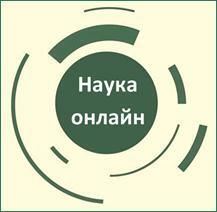 ADRESS: 61035 Kharkiv, 137 Gagarina av., MNE "City Clinical Hospital No.13" of Kharkiv City Council. 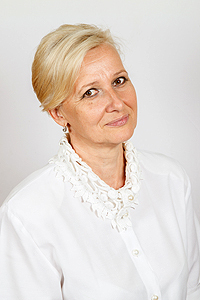 Chief of educational section — Prof. Nataliya Pytetska, Doctor of Medical Science, MD, PhD. Prof. Kompaniiets K., D.med.sc., MD, PhD; Prof. Demydenko G., D.med.sc., MD, PhD; Assoc. 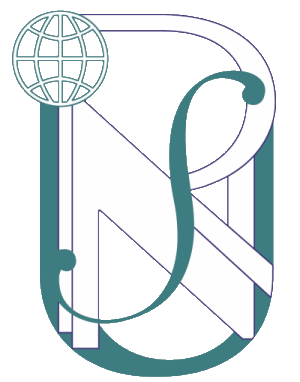 prof. Smyrnova V., MD, PhD; Assoc. prof. Latohuz Yu., MD, PhD; Assoc. prof. Shapovalova S., MD, PhD; Assist. prof. Sytina I., MD, PhD; Assist. prof. Honchar O., MD, PhD; Assist. prof. Kozhemiaka G., MD, PhD; Assist. prof. Molodan D., MD; Assist. prof. Kysylenko K., MD; Assist. prof. Pantskhava M., MD. Disciplines: “Propedeutics of Internal Medicine”, “Care of the Patients”, “Deontology in Medicine”, “Basis of Bioethics and Biosafety”, “Nursing Practice” for 1st to 3rd year students of the II, IV Medical Faculties, V, VI and VII Faculty for International Students of KhNMU Education and Research Institute for Foreign Nationals and Stomatological Faculty; “Propedeutics of Internal Medicine” (bachelors – “Technologies of Medical Diagnostics and Treatment”), “Propedeutics of Internal Medicine” (magisters – “Physical Therapy, Ergotherapy”), “Basis of Cardiology and Pulmonology” (bachelors – “Physical Therapy, Ergotherapy”). The department is principal in “Propedeutics of Internal Medicine” discipline in education of English medium international students. The priority of scientific research of the department is verification and validation of diagnostic and prognostic markers of subclinical target organs lesions in cardiopulmonary polymorbidity on the basis of laboratory and instrumental studies. The relevance and practical significance of the scientific direction of the department is related to the importance of subclinical lesions of target organs in cardiopulmonary pathology as a potent risk stratification factor that is essential for selecting the treatment strategy to prevent damage of target organs and/or regression of existing lesions, which will provide organ protection and positively affect the individualization of treatment. The topic of the research work of the department: "Diagnostic and prognostic possibilities of non-invasive visualization methods in the context of subclinical target organs lesions in cardiopulmonary polymorbidity" (2019-2021). Since 1991, 40 dissertations (5 dissertations for scientific degree of doctor of medical science and 35 dissertations for scientific degree of candidate of medical science) have been completed within the department. Over 1000 scientific publications, including 12 monographies, 35 patents of Ukraine, 6 methodical recommendations approved by Ukrainian Medical Patent Service have been made. Scientific results are regularly presented at congresses of European Society of Cardiology, European Society of Hypertension, European Atherosclerosis Association, international congresses on pre-diabetes and metabolic syndrome, international congresses EuroEcho, EuroPrevent. Main results of scientific work of the department are represented and discussed at scientific conferences and congresses in Ukraine, Russia, France, Italy, Spain, Canada, Germany, Netherlands, Poland, Sweden, Czech Republic, Norway,and Great Britain. Clinical work and practical classes for the students are conducted on the base of the therapeutic, cardiological, gastroenterological, two pulmonary and thoracic surgery departments of the clinical base of the department – MNE "City Clinical Hospital No.13" of Kharkiv City Council. In 2017, on the initiative of the administration of Kharkiv National Medical University and with the support of the director of the Department of Health of Kharkiv City Council and the Chief of the City Clinical Hospital No.13, a new City Center for the Diagnosis and Treatment of Hypertension was found, with a purpose to provide patients with modern specialized diagnostics and medical aid to improve health, reduce morbidity and mortality, prevent complications caused by hypertension. Diagnostic methods used by department include echocardiography, ultrasound examination of the abdominal cavity, carotid arteries and thyroid gland; daily blood pressure monitoring; study of cardiac rhythm variability; daily monitoring of ECG (Holter monitoring).